Ham radios offer a fresh, fun way to interact without the use of smartphones and the internet. With a ham radio you can talk to people in your local town or state or even in other countries of the world. Apart from being a joy to use, ham radios can also be a lifesaver in times of emergency. If you are in need of assistance out on the ocean, wilderness or anywhere else, you can rest assured that once you call for help, someone somewhere will hear you. Numerous types of ham radios have made their way onto the market, which makes it hard to know which ham radios are more efficient than others. This article will provide you with information on ten of the best rated ham radios out there, as well as in-depth ham radio reviews of the top five recommended radios. With that said, let’s take a look at the best ham radios available today. V-85 High Gain Antenna & 30% Larger battery. State-of-the-art chipset which offers more transmission power. 2000 mAh battery: You can use the built-in flashlight and FM radio to full capacity. Informative Manual: Guides you through customization, and explanation of its capabilities. Extras Included: Quality belt clip, Nifty earpiece and a power charger. Built-in flashlight and FM radio. Auto-Band Detection & 1 Year USA Warranty. Two-color LED screen | High resolution display allows you to read it easily from any angle. Emergency Automatic Identification (EAI) for search-and-rescue. 1000 memory Channels, NOAA Weather Alert. Password feature to prevent unauthorized use. DMR digital radio, which utilizes TDMA digital technology. LCD display | Includes hi-tech graphics and text messaging. Built-in CTCSS/DCS, channel scan and priority scan. Superior dual band, dual frequency UHF/VHF two way radio. Operates on 4 watts UHF and 5 watts VHF power. Powered by a 7.4v 2600 mAh Li-Ion battery pack & first-class LCD screen. New chipset with noise-reduction features. Dual watch - Monitor 2 different frequencies or channels at the same time. Dual push-to-talk button & Dual watch receiver. Range: 8-15 km and store 100 channels. 3-Color Backlit Wide-Angle LCD Display. ​In this section we review the top 5 amateur radios listed in the comparison table above. With the help of these ham radio reviews you should be able to find the best ham radio for your own needs. The BaoFeng BF-F8HP ham radio is custom-designed with user-experience and convenience being the top priority. 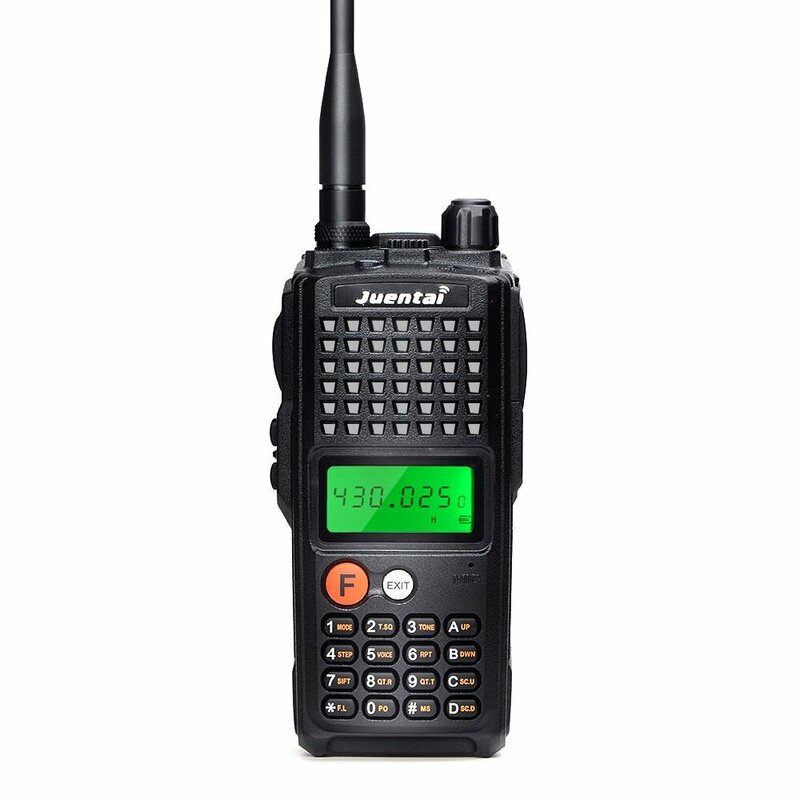 It’s an innovative dual band handheld radio that is a step up from the BaoFeng UV-5R. This is due to the all-new and state-of-the-art chipset which offers more transmission power. The BF-F8HP also sports a brand new battery pack which allows for a long-lasting source of power. With the large 2000 mAh battery you are able to use the built-in flashlight and FM radio to full capacity, and still have enough power left for the rest of the day before recharge. To ensure you make full use of all it has to offer, the BaoFeng BF-F8HP comes with a handy and informative manual that guides you through customization, and provides comprehensive explanations of its capabilities. If that wasn’t enough, all the essential extras are included, such as a quality belt clip, a nifty earpiece and a power charger. Crammed with hi-tech features, the BaoFeng BF-F8HP is undoubtedly a flawless and reliable radio, and an optimal choice for all users. BaoFeng makes another well-deserved appearance with the UV-5R V2+. This unique approach to radio design incorporates a micro-miniature multi-band FM transceiver which allows for extensive receive frequency coverage. 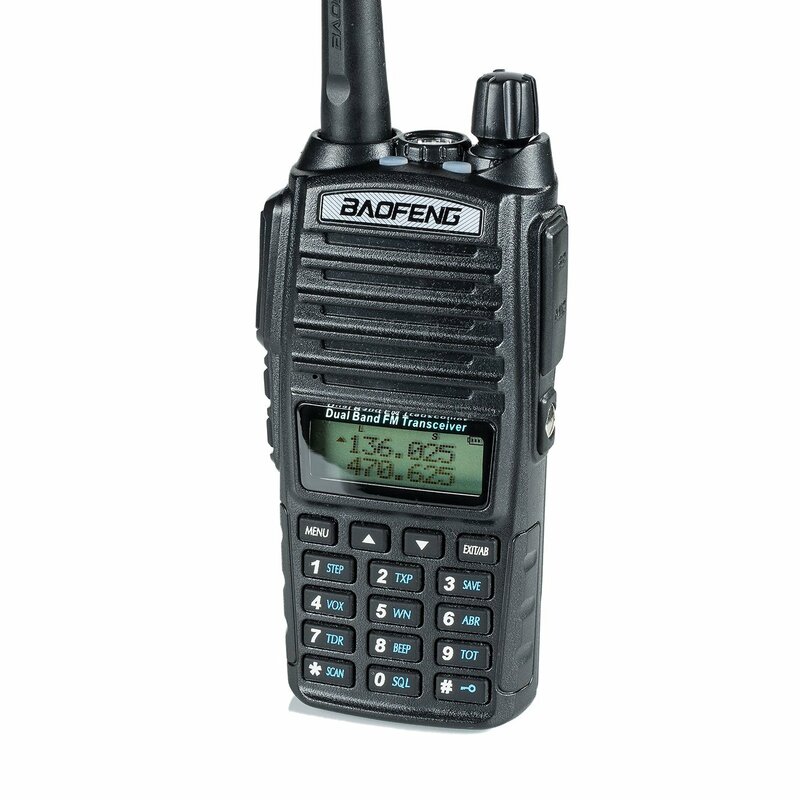 Furthermore, the BaoFeng UV-5R V2+ offers local-area, two-way amateur communications, together with superior monitoring capabilities. This BaoFeng ham radio is highly durable and specifically built to withstand plenty external pounding with its tough metallic casing. The internal parts are thus well-protected, and you are rest assured that this beauty will carry on running considerably longer than other amateur radios out there. The BaoFeng UV-5R V2+ also has a new and advanced auto-band detection that can detect bands automatically, and eliminates the need for using the band button. Another superb feature, which also comes in handy, is the two-color LED screen. Its high-resolution display allows it to be read easily from any angle. 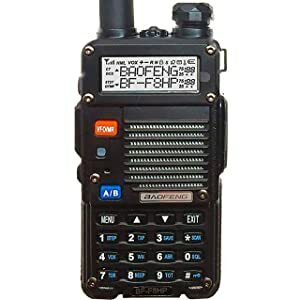 The Baofeng UV-5R V2+ is a perfect example of how hi-tech innovation and durability, when combined, make for radios of unmatched worth and superiority. When it comes to a radio that is jam-packed with upgraded and improved hi-tech features, nothing beats the Yaesu FT-60R. This next generation amateur radio sports a new Emergency Automatic Identification (EAI) feature for search-and-rescue. This irreplaceable feature automatically transmits a call sign in the case of an emergency, even if it is disabled. The Yaesu FT-60R is able to receive 1000 memory channels, NOAA weather alerts, and emergency channels in the 800 – 900 Mhz range. To add to that, it also includes wide receiver coverage, outstanding audio quality and an easy-to-read operation manual. For your peace-of-mind, there is a password feature to prevent unauthorized use of your Yaesu ham radio. Additional top-rate features include: the Alpha Numeric display and a well-lit keypad. 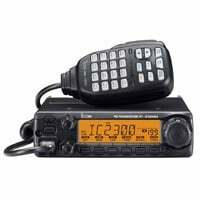 The Yaesu FT-60R will keep you safe, secure and confident at all times, and is an instrumental piece of radio technology that has earned its solid reputation. The TYT MD-380 is a Digital Portable Two Way Radio and TYT's first DMR digital radio, which utilizes Time-Division Multi-Access (TDMA) digital technology. This superbly designed radio is compatible with Motorola TRBO Tier I & II radios, including radios manufactured by Motorola, Hytera, Kenwood, and Vertex Standard. One of the most prominent features of this TYT ham radio is its revolutionary LCD display. This large, high-resolution display is easy on the eyes and includes hi-tech graphics and text messaging. Coupled with all this are the built-in CTCSS/DCS, channel scan and priority scan. The TYT MD-380 has an impressive 1000 channel capability and its one-of-a-kind DTMF keypad allows full access to a menu of all its vital features. To top it all off, it uses Digital Mobile Radio (DMR) Tier 2 Standard protocols. The TYT MD-380 has hi-tech features that are made available at a fraction of the cost of other radios of this unparalleled level of advancement. 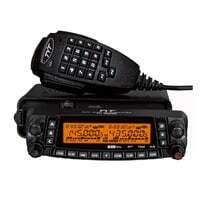 You can’t go wrong with this TYT ham radio and it’s most certainly a wise investment. 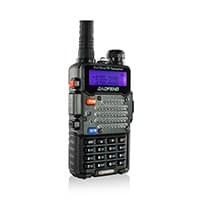 With unrivaled power capabilities and a supreme design, the Wouxun KG-UV8D amateur radio has made a name for itself as the next big thing in handheld transceivers. It’s a superior dual band, dual frequency UHF/VHF two way radio and operates on 4 watts UHF and 5 watts VHF power. This beast of a radio is so mighty when it comes to power, that you could light up a nearby town and still have enough reserve power available. The KG-UV8D is powered by a 7.4v 2600 mAh Li-Ion battery pack for maximum up-time and is equipped with a power saving mode that enhances efficiency and preserves battery life. Complementing its power is one of its best features – the first-class LCD screen. It is colorful and bright, and displays all the information needed to operate the radio in any mode. Furthermore, the customizable Power-On display and voice functions assist with menu navigation. 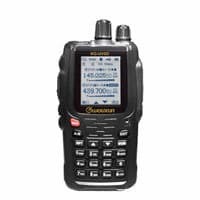 When it comes to reaching out and receiving transmissions, this Wouxun ham radio features a whopping 999 programmable memory channels with DTMF encode/decode and high or low selectable power options. No ham radio would be complete without valuable extras. The KG-UV8D comes with a belt clip, removable antenna, wrist strap, desktop charger, AC cord, a user manual and a nifty stopwatch. The Wouxun KG-UV8D is more than your average amateur radio, and an excellent choice of ham radio for sure. Apart from the actual parts, features and design, there are a number of important things that need to be taken into consideration when you are looking to buy the best ham radio. Understanding these will ensure more productive use of your amateur radio. Below are some significant things to consider before purchase. This is an entry-level license and you must pass an examination in order to obtain it. You get access to all frequencies over 30 megahertz, as well as certain HF band privileges. For the most part, you can communicate domestically and locally. To get this license, passing an examination is also required. Once obtained, you will be permitted to take part in international communication. Keep in mind that a Technician License is a prerequisite. As with the other licenses, you still need to pass an examination. Upon receiving it, you will have access to all operating privileges on all modes and bands. You need to have a General License beforehand. Know which frequencies you want to use and which are allowed to use with each license. Not all radios work with all frequencies, so make sure you buy one that offers the frequencies you want to access. Something else that must be taken into consideration is the power input and output of the transceiver for the specific terrain that the equipment is used in. If you purchase a handheld ham radio make sure it has high and low power settings that you can manually adjust. It’s a good idea for beginners to purchase an inexpensive or second-hand handheld transceiver initially. Handhelds do not require antennas or amplifiers, but offer major benefits. But even if you opt for a cheaper transceiver, don’t compromise on quality. Rather pay a little more for a quality single band device, which is recommended, instead of a cheap multi-band transceiver. 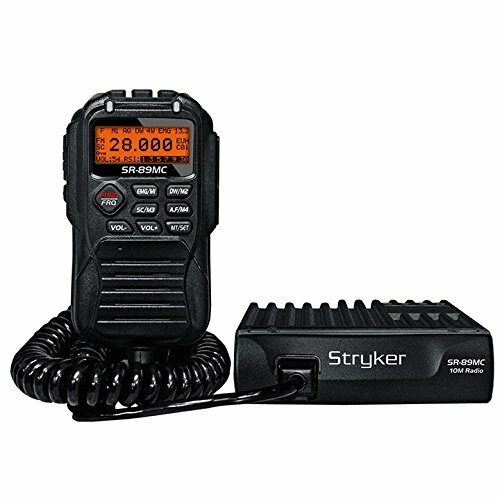 Becoming familiar with all the types of ham radios out there is overwhelming enough, but knowing the various brands is just as important. For your convenience, here are the top brands in the industry. All their devices incorporate the highest standards of quality, and have a long history of consumer satisfaction. Stick to these brands and you will never go wrong. BaoFeng has a long-standing reputation as a leader in identifying, marketing and supplying state-of the-art electronic consumer products on a worldwide scale. BaoFeng ham radios are part of a comprehensive range of products that have passed quality and durability tests many times over. Therefore, only top-notch amateur radios of the highest standards of efficiency are made available to users. BaoFeng radios are highly-effective during times of emergency and have the ability to cover HAM and LMS. Some BaoFeng ham radios have a LED flashlight, with an enclosed lens and reflector for ultimate focus, and voice transmission is loud, clear, and crisp. BoaFeng is a leading brand in the industry and will definitely continue to be. Yaesu is a leading brand which manufactures ham radios of unparalleled quality. For over half a century, Yaesu has maintained its superb reputation, and to this day never lets consumers down. Yaesu ham radios feature built-in digital signal processing functions allowing you to set up memories. They are designed with tough turning knobs, removable front panels and a highly-advanced ergonomic layout. In addition, Yeasu amateur radios receive all AM/FM broadcasts and shortwave signals. Users have noted that the convenience of easy programming software is one of the main reasons that prompt them into purchasing Yaesu products. With all-important extras there is always the chance of damage. Not with Yeasu ham radios though. They can withstand bumping, pounding and dropping, and still work like a charm. Yaesu remains a consistent manufacturer of supreme communications equipment. TYT has 15-years of radio manufacturing experience under its belt, and is a pioneer of cutting-edge ham radios in particular. Prior to being released, all amateur radios endure the most demanding tests via top-rate testing machinery. TYT ham radios are portable and lightweight with an excellent ergonomic design. 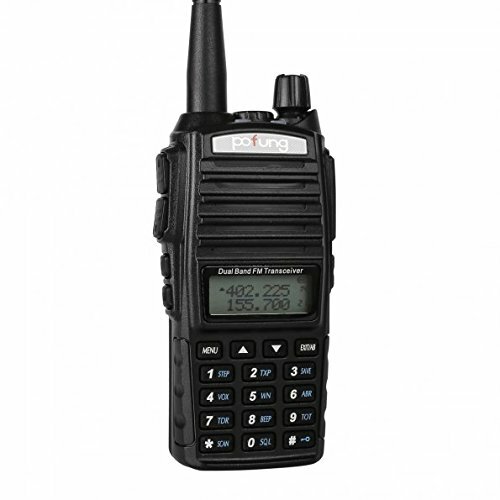 Its radios are made to fit comfortably in the hand and can even be carried in pockets, making it a pleasure to use. TYT radios include wideband antennas as well. Furthermore, TYT features the notable DMR digital radio, which utilizes Time-Division Multi-Access (TDMA) digital technology. This breakthrough in radio technology enables several users to share the same frequency channel, by dividing the signal into different time slots. Exclusive and ultra-reliable, TYT ham radios will guarantee that you have a safe journey, as well as a pleasurable one, every time you head out. ICOM is a brand that offers a diverse range of hi-tech communication products for land, sea and air. ICOM ham radios are equipped with valuable extra features, all of top-quality. ICOM radios have GPS receivers that add functionality on their advanced dual-band capabilities. In addition, this enables more information to be received at your current location. ICOM amateur radios also are compact and dual-band, which enables them to receive two transmissions at once. Another remarkable extra is the astounding 1304 channel alphanumeric memory system and memory card Micro SD card slot. ICOM ham radios also contain built-in CTCSS/DTCS encode/decodes for analog FM, as well as independent AM and FM broadcast receivers. Not many users know that ICOM actually helped pioneer the development of Digital Signal Processing (DSP) equipment. Wouxun ham radios are synonymous with customer satisfaction and innovation. Since their establishment, they have always manufactured ham radios with a focus on the user. Wouxun has kept its promise of developing and manufacturing the best wireless ham radios and accessories in the radio industry. What makes the brand so successful is that many products are improved and upgraded as a result of consumer feedback. By understanding consumer needs, Wouxun is able to deliver the most efficient products. Wouxun ham radios feature two independent receivers, for both UHF and VHF, allowing users to listen to different bands simultaneously. They are also equipped with high-capacity memory banks enabling you to assign channels to multiple banks. A well known hi-tech addition is the high-resolution, colored screen. Its innovative design makes for a versatile and clear user experience. It would be safe to say that Wouxun have been as consistent with its high-standards, as it has been with maintaining their renowned reputation. Users have their own preferences. Depending on where you are and the type of vessel you are travelling in, ham radios are custom-made to meet each user’s specific needs. Each type of amateur radio provides different benefits and advantages. Knowing the specifications of each one will assist you in obtaining the best ham radio most suitable for you. 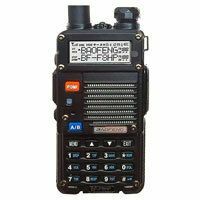 Fixed transceivers are used by ham radio enthusiasts who want to reach a wide range on a daily basis, and individuals who are serious about getting the most out of their ham radio equipment. A base transceiver is designed to stay in one place. It is among the more powerful transceivers available, and offers many useful features. A base transceiver is usually large in size and heavy, therefore it utilizes more standby battery power than other transceiver types. Fixed transceivers and base stations are considerably more expensive and shouldn’t be considered initially if you are on a tight budget. Some manufacturers also offer portable base stations that are smaller and more lightweight. A portable base station is ideal for camping or canal boating, when one is away for lengthy stretches. They can offer good value for money for someone looking for transceiver portability, along with flexibility. Handheld ham radios are small, lightweight, portable, and a great deal less expensive than the other types. Handheld transceivers are designed to transmit and receive while the user is on the move. However, they do not offer as much power or signal range as other transceivers. Light emergency use, local public service use, and local communication are more suited to a portable ham radio. They allow for ease-of-use and can be carried in the hand, securely around the neck, or clipped onto a belt. Handheld amateur radios transmit on VHF and UHF bands, and run on small rechargeable battery packs. They can switch between a low and high power setting. Often, you’re only going to find a maximum wattage of 5 watts on handhelds, so be certain that they have different power settings. This will ensure you have a handheld that can function well on GMRS and HAM wattage, but that can also dial down for operating on MURS frequencie﻿s without violating any FCC laws. Mobile ham radios are used by amateur radio operators who plan to broadcast from a vehicle. They usually transmit FM voice on either VHF or UHF bands, and also offer more power and range than handhelds. For the ham radio enthusiast just starting out, a mobile transceiver may be a good option. A mobile ham radio can be used together with an antenna, which can be mounted on the vehicle, ensuring fully functioning mobile radio stations. Their ability to pull in extremely weak signals make mobile transceivers ideal for emergency communications and long conversations between radio operators. However, if one wants to reach a wide area, a repeater or echo-link mode may be necessary, otherwise a base transceiver might be a better option. There you have it. All the information you need on the best ham radios out there on the market today, as well as tons of tips and guidelines, ensuring that you only purchase an optimal amateur radio that meets your preferences. There’s no need for endless searching online, or reading through tons of “How To” books, as everything is right here. All that’s left for you to do is to get your hands on the ham radio that you like best. Take care out there and stay connected!